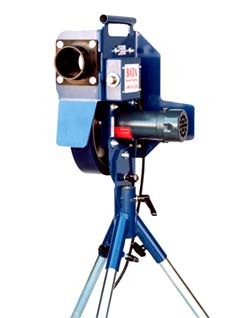 Our economical BATA-1 Baseball Pitching Machine (above) and ourBATA-1 Softball Pitching Machine (right) throws perfect fastballs up to 62 miles per hour with pinpoint accuracy. Ideal for batting practice for players up to 16 years of age and for machine pitch leagues. Can be set up to throw baseballs or softballs.